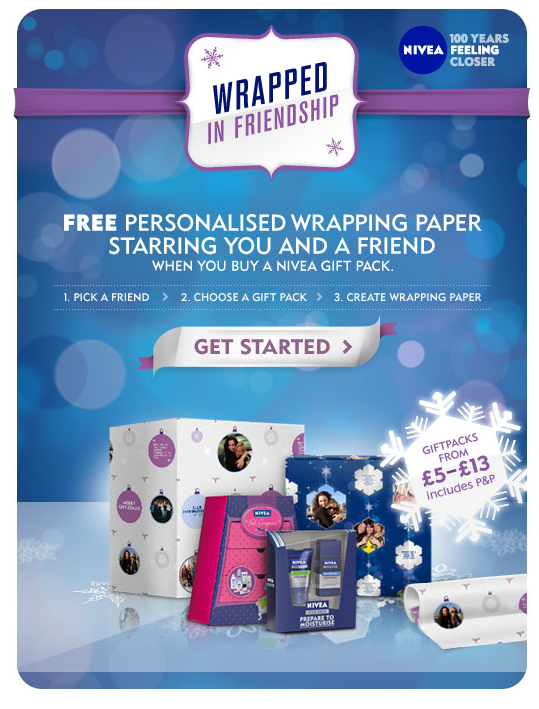 Nivea are offering personalised wrapping paper via an app on Facebook. It's a clever idea; pick a friend, choose gift pack, and then the app will create wrapping paper based on your interactions, e.g. wall posts and photos. Simple and direct. Unlike JCPenney's use of QR codes.